With Halloween behind us, we can start to plan our business marketing around Christmas and New Year. But, before either of these worldwide events, we have a day that makes shoppers go crazy and buy everything they can get their hands on – Black Friday. Falling on November 25th this year, it’s essential you are prepared, if you wish to take advantage. Many of you are probably thinking that Black Friday only applies to shops on the high street – wrong. More and more people are taking to the Internet to avoid the hustle and bustle, which means Black Friday can apply to your business, to. If you are offering 30 days bootcamp membership for £1, this is obviously not bringing you any ROI. You want to then nurture these customers into a funnel and turn them into fully paying customers. This where your ROI comes into it. My first tip is don’t just create a random offer just because it’s Black Friday and you want to be involved. Plan your strategy into making your offer profitable in the long run. Once you have your offer all planned out, it’s time to create a landing page where people can learn more about the offer and – most importantly – opt in. 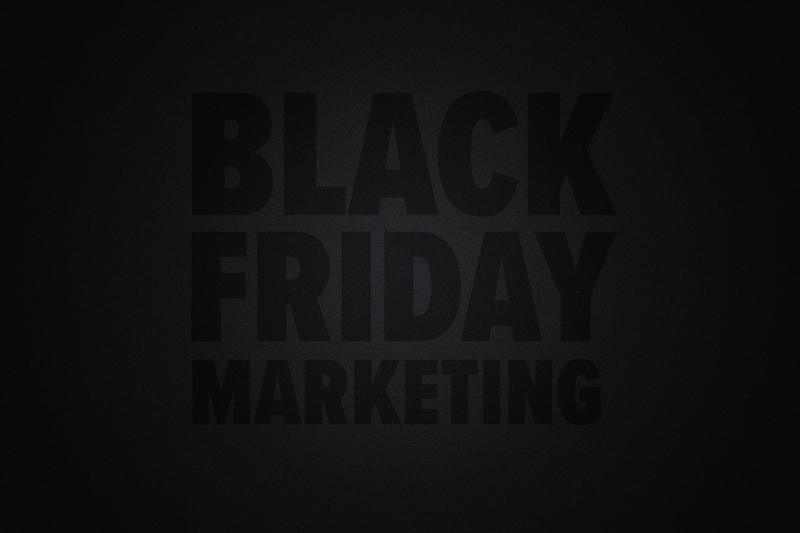 Keep this landing page simple and focus purely on the Black Friday offer. Your landing page is where your adverts and emails will click to. If you need advice on landing page platforms, simply comment below and I’ll be able to help. When your landing page is in place, it’s time to look at your marketing and how you will promote your offer. The first people to tell about your offer is your email subscribers. These people already know of you and are already interested in your business (That’s why they subscribed) – which makes them more likely to opt in and purchase. So with this being said, create an email campaign to send out. 3: Black Friday offer on the day. The best way of getting your offer out there to the millions is through social media. I’d avoid creating a campaign as these usually run for a number of days. Create multiple posts and then boost them to your target audience. On Black Friday, you are going to be up against it. So, save the majority of your budget for boosting your posts for the actual day. As I mentioned earlier, you want to build up the excitement to your offer leading up to Black Friday. Send teaser emails and posts on social media to get people interested in what you’re going to offer. If you only post your offer on Black Friday itself, you may lose a huge chunk of people who aren’t browsing social media at that time. Build the excitement and people will be intrigued. On the big day – Make sure everything is set! When Black Friday comes, you want to make sure everything is ready to go. The last thing you need is for a link not to work, or an email to have spelling errors. Go through your content on the night before to ensure it’s all ok. One thing you want to look at is timing. It’s crucial to send your email campaigns and social media posts out at the right time, otherwise you may miss a huge chunk of people. There’s a few different times that work best, including early morning from as early as 7am, lunchtime, and between 6pm and 9pm. According to Internet Retailing’s post Black Friday and Cyber Monday analysis 15% of sales are completed before 9am. However consider your target audience and analyse past campaigns to give you the most optimised time for you. Good luck with your Black Friday campaign – if you have any questions, drop a comment below and I’ll be happy to help!